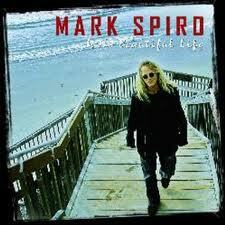 Mark Spiro is an iconic American songwriter; an established award-winning producer, recording artist, and accomplished musician, with a career that spans over two decades. Among his many accomplishments, 45 gold and platinum records, and six solo albums. His songs, and his productions, have been represented on records that have sold over 100 million records worldwide. Not bad I hear you say! Born in Seattle, Mark moved to Hollywood where he met Jack White, an extremely successful and acclaimed German producer who was then making impact in the American music market with his productions of Laura Branigan, Stevie Woods, Anne Murray, David Hasselhoff and more. White immediately recognized Mark’s enormous talent and brought him in as his general co-producer. In a span of three years, Jack cut more than 100 of Mark’s songs with various American and German artists. It was at this time that Mark met German writer/producer Harold Faltermeyer, best known at that time for his song “Axel F” from the film, “Beverly Hills Cop”. Faltermeyer was a huge fan of Mark’s writing and production skills and asked him to write a song for a new film, then called simply “Top Gun”. Mark wrote the incredible “Mighty Wings” (recorded by Cheap Trick), and a classic film song was born. Developing a reputation in the film industry Mark then wrote songs for such films as, “True Romance (“In Dreams”; recorded by John Waite); “Selena” (“Only Love”; recorded by Selena) and ”Music From Another Room” (“Day After Day”; recorded by Julian Lennon), and Mark’s songs have gone on to be featured in several television series such as “One Tree Hill”, “Marker” and “Fame”. Mark is most recognized as one of the leading melodic rock songwriters in the United States, with songs recorded by such classic artists as Heart, Giant, Bad English, Kansas, Reo Speedwagon, Winger, and Mike Reno (LoverBoy). But, in addition, he has also written for multi platinum country artist Lila McCann and Latin Artists Luis Miguel and Emmanuel. Although he is best known for his melodic rock style, it is evident that Mark has the ability and talent to write for any style and genre of music that grabs his attention.